Land of a Thousand Dances / Leavin' Here"
Kentish Steele and the Shantelles have produced a cd of their tunes recorded in 1965/66 entitled "Rewind". I have a vivid recollection of the phone call I received from saxophone player, Glen Gish, suggesting that the Shantelles were looking for a horn section and that possibly Stew Meadows, Glen and I should check out the group. We all loaded into my '47 Dodge Coup and rumbled into the city to catch the band. The three of us were Burnaby guys and had been bitten by the R&B bug a year or so earlier when we formed a group called the "Bluesmen". Stew Meadows and I were no strangers to fairly demanding horn charts as a result of our participation in the New Westminster Band, playing a wide variety of music in the classical genre. I attended Burnaby South high school because of their superior music program and excellent Concert band. Gish having played in a couple of local Burnaby bands, was finding it difficult strapping his saxophone case to the back of his "650 Triumph" motorcycle. He was the only person I ever saw play an improvisational sax solo and smoke a cigarette all at the same time! Meadows attended Burnaby Central high school, where he excelled in their concert band, playing trombone, and also worked part-time in his father's gas station repairing "Corvairs". I cannot recall the school where we first saw the Shantelles perform, but I remember seeing a "clean-cut" act with youthful exuberance on stage and a full sound. Kentish gyrating impressively around the stage and doing the odd spin and the spits "James Brown" style with Patterson, Pulham, Dean, Tingle and Tansley providing a solid musical foundation. We joined the group under the direction of their brilliant sax player, Brian Tansley, who did all the horn arrangements in his head. Inevitably, Tansley honed the rough edges of the "Burnaby Boys" and we became a pretty good musical team, for our ages, both instrumentally and visually, so we thought. I moved to Toronto in 67 and attended Ryerson and continued playing trumpet for another twelve years traveling across Canada as well as New York, Boston, Nashville, Miami, Nassau, Puerto Rico, Freeport and a few other places I'd care to forget. We did some recording with Capitol records and opened for Natalie Cole on her Canadian tour in '75. 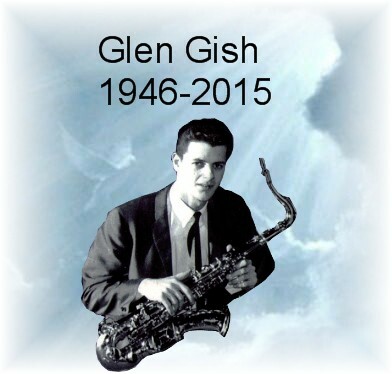 I still keep in touch with Gish, who resides in White Rock, and Meadows in Kelowna. As a direct result of this web site I connected with Brian Tansley in Ottawa after many years, and see him and his great family fairly regularly. Wishing all the very best to the members of the Shantelles and their families and to the "Regents" for producing the "Bands of the Great Pacific Northwest" web site ..........and God bless the "Grooveyard"!!. This website brings back so many great memories. Our group, Kentish Steele and The Shantelles, played mostly in western Canada -- mainly around the "lower mainland" of British Columbia, Vancouver, New Westminster, Burnaby, Surrey, Vancouver Island and, during the summertime, in the Okanagan. In addition to the usual jobbing gigs, we played regularly in some of the nightclubs and dance halls in the area. I guess the most memorable of these for me were the Grooveyard in New Westminster and Oil Can Harry's and Lasseter's Den in Vancouver. Kentish Steele and the Shantelles emerged from an earlier group whose members included myself, Brian Pulham and Jim Patterson. Paul Dean, Brian Tingle and Kentish Steele came on board within a year to form the nucleus of the group. During that first year Kentish Steele worked in the engine room on one of the BC Ferries and it always blew me away how a guy could work that hard on stage for four or five hours and then go straight to the docks for an 8 hour shift on the boats. I guess, it was just one more example of how much we loved to play (and what punishment we would go through to do it -- speaking of punishment, I till have a sore back from moving that Hammond B3 up and down stairs for all those years). For most of its life, the Shantelles was a five-piece band but for a brief period we grew to the size of the promo picture shown here (taken at Brockton Point in Stanley Park as I recall). In this larger configuration the band sounded great. It was a lot of work to administrate and rehearse a band of this size and while the music made the work worthwhile it was hard to make it pay. We returned to the five piece format within about year of this photograph being taken. There were a number of fine R&B groups around this time in Vancouver that fell into two categories: with horn sections or without. All the groups that I was most familiar with were formed for one reason: to provide good live dance music. A song was quickly dropped from a set list if no one danced to it. At least one instrumental per set was included -- a lot of these tunes were copped from early albums from Northwest groups. 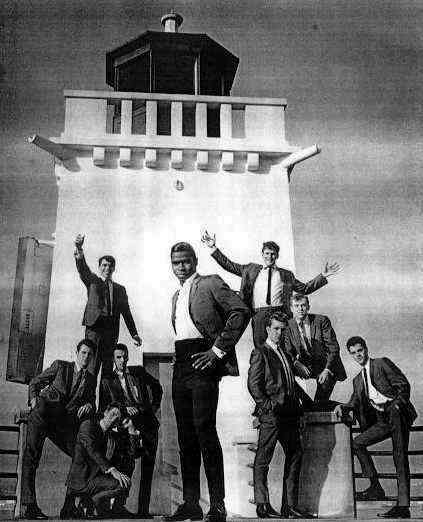 The Shantelles and most of the other groups active at the time around Vancouver mainly covered the music of the well-known American R&B bands of the era. Aside from the Shantelles, I really enjoyed two other Vancouver R&B groups, one large and one small. The large one was the Night Train Revue. I never understood how they managed to run such a large operation and make any money. Probably, like most of us, they didn't make much and did what they did for the love of the music. The Night Train Revue always impressed me with their musicianship and very soulful front line of singers, who always put on a great show. Another Vancouver R&B group that I really liked was Jason Hoover and the Epics . They were, my mind at least, the benchmark for laying down a groove. I guess we didn't know it at the time, but looking back at it there was a Northwest music movement in the 60's and 70's. We were influenced by the Northwest sound and had a lot of tunes from NW groups in the list, especially when we played as a five-piece unit. We listened to groups like the Kingsmen, the Wailers, Jimmy Hanna and the Dynamics, Merrilee and the Turnabouts, Dave Lewis, (early) Paul Revere and the Raiders, etc. We would scour the record stores in Vancouver and go down to Seattle from time to time to get the latest records. Once in a while we would get down to the Seattle-Tacoma area to hear groups play live. 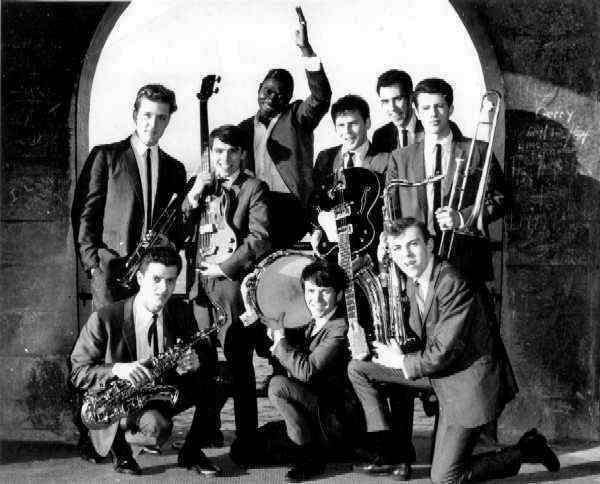 I recall hearing the Kingsmen and the Wailers in a "battle of the bands" at the Tacoma Armory in about 1965 or 1966. The the place was packed with people dancing and I remember being impressed with the distinctive sound of the groups, especially the Wailers' drummer. By about 1968 many of the northwest bands, both in the US and Canada, seemed to have moved away from the blues based R&B style dance music that I loved -- probably influenced by the British invasion. Some of the groups who played and recorded in the late 60's were definitely showing the influences of the Beatles and Stones but were in a kind of "transition zone" (some had the old NW sound but wore Beatles suits on stage!). On the other hand, Chicago, Blood Sweat and Tears, etc. were taking the horn bands to another level of musicianship (one that required substantial investments of time and effort -- but not necessarily producing any more danceable music, in my opinion). the best I can -- mostly with others who are trying to be "legends in their spare time", like me. Like back then, when I play a dance gig, my criterion for the quality of our music is whether or not people will dance to it. Over the years I have also played in jazz and fusion groups. Things haven't changed all that much -- good music is still played live and people who like live music still come out to hear it (however, you can now get a B3 sound out of a 25 pound box that is CLOSE ENOUGH to not have to worry about the health of your lumbar spine!). 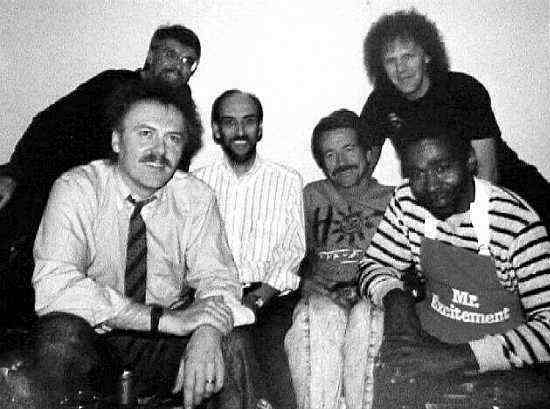 In 1990 the Shantelles reunited for a gig at the Commodore in Vancouver which featured many of the groups that played in the Lower Mainland of BC during the 60's and 70's. The five piece nucleus of the Shantelles, Kentish Steele, Jim Patterson, Brian Pulham, Paul Dean, Brian Tingle and myself, played together again for the first time in 20 years. It was wonderful to see everyone after so long and to play together again. It was amazing how the old arrangements were still in our fingers. It was also really great to see so many of the people who supported the band in those days who came out to say "hello". 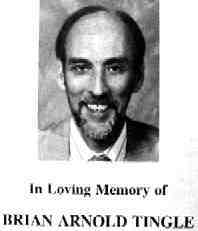 What happened to the members of the Kentish Steele and the Shantelles? Jim Patterson, the Shantelles drummer, graduated from UBC with a degree in Physics and went to work, briefly, for IBM. He then had a career in the public service and, by the time of the reunion in 1990 had bought a small hotel on the island of Maui. Brian Tingle, who played the Hammond B3, worked for years for BC Tel, first as an installer and then as a trainer during the time he played in the Shantelles. He worked there until his untimely death a few years ago. Our bass player, Brian Pulham, lives in Powell River BC where he is the Librarian. Kentish Steele, our vocalist and front man (check out the tight pants in the picture -- imagine doing the splits on stage every night in a pair of those!). Kentish still lives in Vancouver and, last I heard, still gigs around. Our guitar player, Paul Dean, played with a number of Canadian groups and went on to form the group "LoverBoy". If anyone wants to get in touch, please e-mail me at brian_tansley@carleton.ca I'd love to hear from anyone who remembers the band. Finally, thanks to Sam Carlson for maintaining this great site.